From the moment you walk through our doors here at Beautiful Smiles, you will likely get the feeling that our office is very different from other dental practices. We truly want you to feel like you are a guest in our home, not just a patient. Our friendly team of experienced dental professionals is dedicated to providing you with the best possible care. With a comprehensive array of cosmetic, restorative, and family dental care options, along with advanced treatment for gum disease, we will work with you to create what we call a Lifetime Plan – a treatment plan designed to help you attain the care you need to maintain excellent oral health and a beautiful smile for years to come. Ultimately, our experienced dentist in New Jersey, Dr. Harold A. Pollack, and his skilled dental team can improve the health and appearance of your teeth with results that transform your smile and enhance your self-esteem! Our total commitment is to excellence in dentistry. Our outstanding team is committed to providing you with uncompromising quality, caring attention, and extraordinary 5-star service. We strongly believe that by educating you, we empower you to make choices that will greatly impact your smile and overall well-being. The following information will give you an overview of our practice and what you can expect from your visit. If you have questions, or if you would like to schedule an appointment, please contact us today. Our dental hygienists, Kim and Debbie, as well as our assistants and administrators work together to provide the best possible treatment in a friendly and efficient atmosphere. Many of our team members have decades of experience and continue to enhance their skills by taking regular continuing education courses. The following downloadable patient forms can help you arrive at your appointment fully prepared. Just click on the links below to view and print the documents. We can also provide you with the necessary forms at our office and you can fill them out here if you would prefer. Beautiful Smiles offers a full range of payment options to help make treatment financially convenient for every individual. We also work with CareCredit®, a reputable dental financing company that offers qualified applicants a variety of low- and no-interest monthly payment plans. Embracing state-of-the-art technology helps our dental team deliver the most accurate, efficient, and successful care possible. Some of the innovative techniques we utilize here at Beautiful Smiles include Schick digital x-rays, the VELscope® oral cancer screening system, ZOOM!® teeth whitening, and many others. You can get a good idea of what you can expect to see at our office by taking a virtual tour! Click on the arrows in the image below to have a look at our comfortable, state-of-the-art practice. 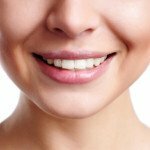 Our blog features news about advances in dental treatments and techniques as well as tips for keeping your teeth and gums healthy and beautiful. We invite you to check back for the latest information! If you have questions, or if you would like to schedule an appointment, please feel free to fill out our contact form or call our office at any time. Contact Dr. Pollack and Beautiful Smiles. Our map and directions section offers a detailed guide to the location of our practice. Please don’t hesitate to call us if you need additional instructions or assistance. View a detailed map and find directions to our practice.